The Lexmark X560n, known for its reliability, will provide practical production for its planned IT environment. The budget-attractive printer is ideal for demanding work environments, and cuts cost on printing processes. Print, fax, copy, and scan is integrated into a single tool for optimal performance in efficiency. The X560n saves space, reduces equipment overhead, energy, and consumables. From a conservative view, the printer reduces overall expenditure on the cost of prints per page, and the has a vast selection of optional responsibility. 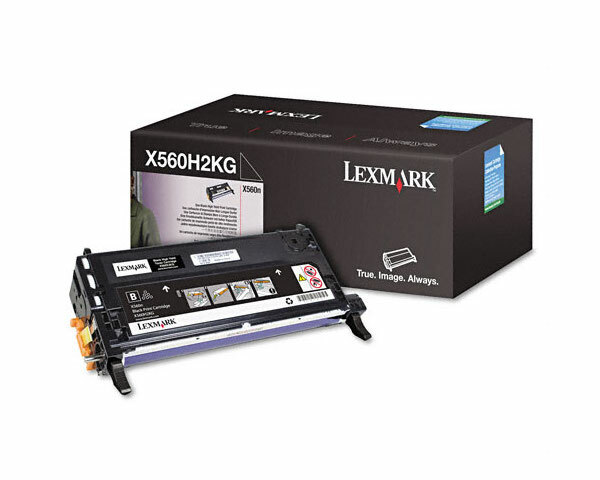 The Lexmark X560n provides solid performance with PCL6 and PostScript 3 compatibility. The 50-sheet Automatic Document Feeder will swiftly send out 32 pages per minute in black & white, and 20 pages per minute in color. The multipurpose feeder and fax automatic dialing will increase the range of efficiency. Users of the printer can search, edit, digitize, and manage their documents with clarity. The X560n is relatively straightforward with the 100% front-loading consumables. The operating panel will enable the user cancel prints early to avoid wasting paper. The four-line LCD offers support and guidance for owners to ensure their optimal productivity and up-time. The toner is enhanced and combined with Pantone calibration for crisp 2400 image quality. The printer is equipped to handle complex presentations, memos, and newsletters. 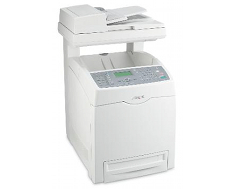 The Lexmark X560n is duplex print-able, which gives businesses an opportunity to save on costs by reducing paper-usage. Duplex printing is ideal for creating papers in the same format as a book. The optional extra drawer with the floor stand will take up to 550 sheets of paper. 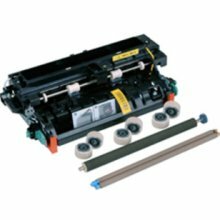 The X560 has a strong Lexmark warranty of one-year; owners have the option to extend the warranty. The warranty will include on-site repair. The first page will take an average of 10 seconds, and then the printer will level-out an average of 30 pages per minute for copies and prints. The resolution for black at 600 x 600 dots per inch and 2400 image quality is the same for color for both copying and printing. The processor speed of 400 Mega Hertz is admirable. The standard memory of 384 Mega Bytes can be upgraded to 1408 Mega Bytes. The printer deserves an 'A' for optional expansion. Linux, Unix, Windows, and Macintosh operating systems will handle the all-in-one printer. The standard ports available for the printer are the Ethernet 10/100 BaseTX and the USB Hi-Speed. While the Ethernet and USB are pretty standard for competing printers, not all of them have the option to deploy Wireless Print Server, External MarkNet N7020e/N700e/N7002e, and Internal Multiprotocol Card. The paper handling standard of the multipurpose feeder is 150 sheets; the sheet input tray is 250 sheets; and the output bin is 350 sheets. The optional 550-sheet drawer is a plus for demanding work environments. The standard paper input capacity is 400 pages or 20 pounds of paper. The maximum paper input can be expanded to 950 pages. The reduction and enlargement range is 25-400%. The modem speeds are pretty basic with 33.6 Kilo Bytes Per Second. The Lexmark X560n is not compact enough to fit on standard desktops. The printer size is 28.7 inches in height, 18.1 inches in width, 20.67 inches in depth with a hefty weight of 88.2 pounds. Unless one is physically fit, the printer should not be moved by a single person. The standard input capacity standard of 400 pages or 20 pounds is the same as 950 pages or 20 pounds, according to the Lexmark specs. It does not make any sense because 950 pages is clearly more than 400 pages. Deductive reasoning would clarify that 950 pages would be 45 pounds in average. The printer costs average at $1,000, and the cartridges will average from $200-400. This is a little pricey for a printer that does not have the best of resolution in prints and copies. Review it: "Lexmark X560 "
The High-Yield print cartridges produce 10,000 pages in black or color. The printer package will come with a standard 4,000 page color cartridge and yields 5,000 pages in black toner.